Created in feb. 1968, Chromatography Industrial Co., Ltd., Japan (chromatography column packing material manufacturer) changed the company name to GL Sciences Inc. in oct. 1990. 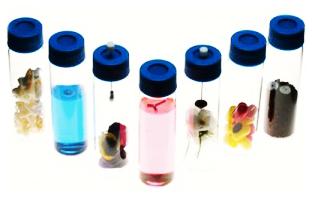 HPLC : in the 90s, GL Sciences is the first company to highlight inertness as a key factor of HPLC behavior and introduced the well known Inertsil family. 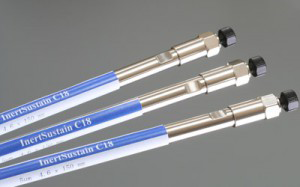 The new generation, InertSustain family, inherits the advantages of all the current Inertsil HPLC columns (e.g., extremely low operating back pressure, superior inertness to typically any analytes, high efficiency and compatibility with a wide range of solvents), but now can be used for wide pH analysis with consistent performance from column to column and lot to lot. 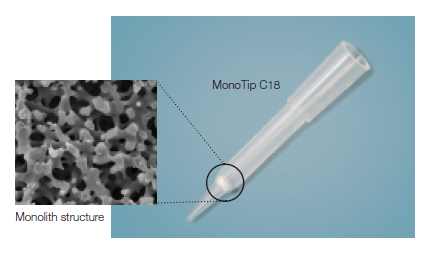 MonoTip C18 : these pipette tips can desalt and concentrate proteins and peptides in reversed phase mode by easy pipetting. 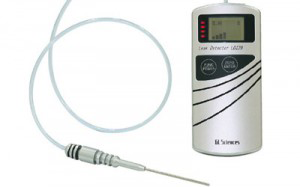 GC : manufacturer of InerCap columns and leak detectors in Japan. 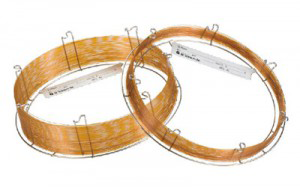 In 2002, GC Sciences acquired ATAS in the Netherlands, manufacturer of the worlds’ most flexible GC inlet (OPTIC High Performance Multi Mode).